Our school has been accredited with ISA (International School Award) by the British Council for the period 2017-20, third time in a row. 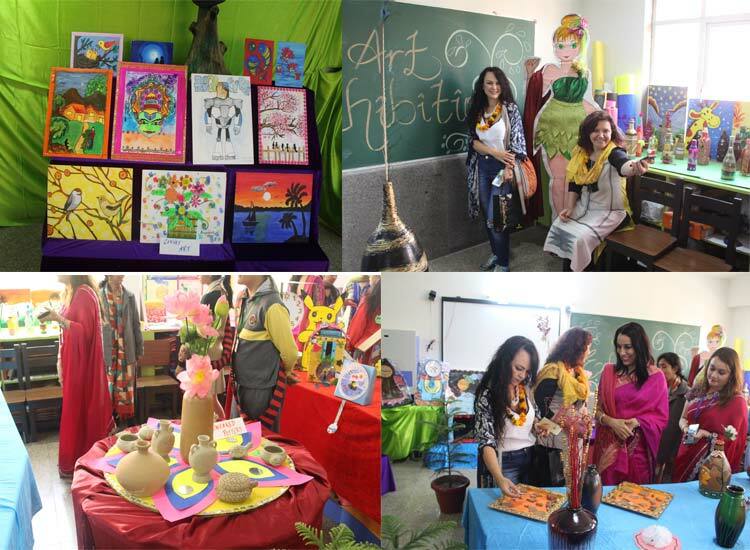 An art exhibition was held by the Art Department of K. R. Mangalam World School Vikaspuri on 24th Nov 2017. The Guest of honour were the delegates of Brazil Ms. Cristiana Da Luz and Ms. Maria Alice. It was an amalgamation of Graphic art, Canvas painting, 3D art, Bottle art, oil pastel, watercolour, Indian Folkart, clay pottery, Designer shoes (painting) and various craft items. 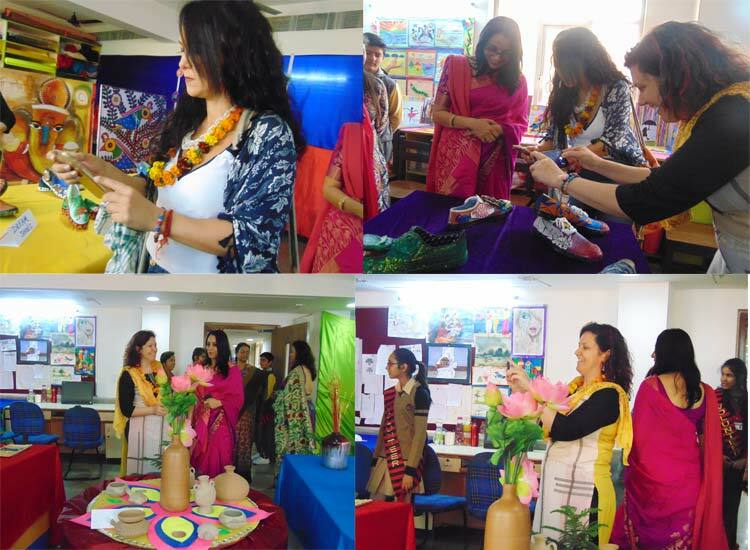 The visitors were more than elated and overwhelmed by the art work of the students. The painted shoes done by the senior students were the major attraction for them which were then gifted to the respected guests. Their “Wow s” never seemed to cease as they wandered through the artsy sections with awe and wonder. Our student volunteers did a fabulous job by meticulously explaining each style of art used for the day.